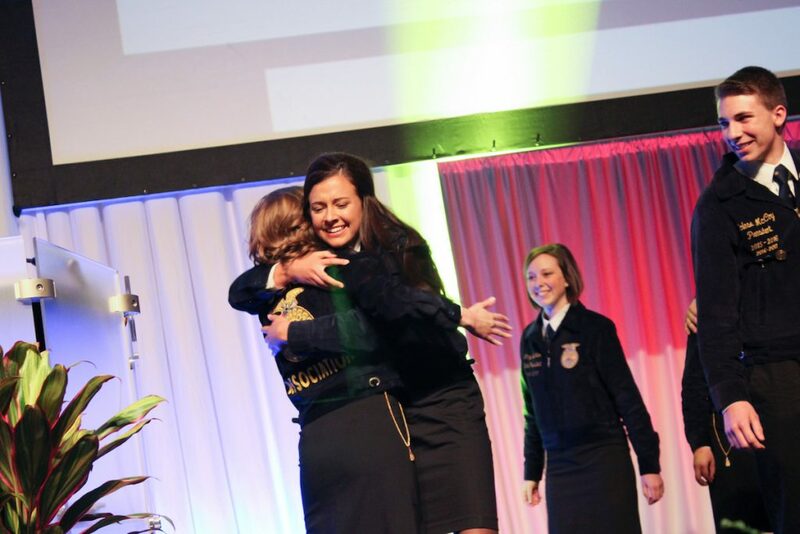 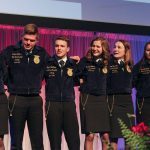 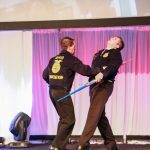 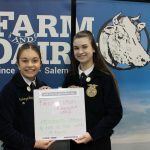 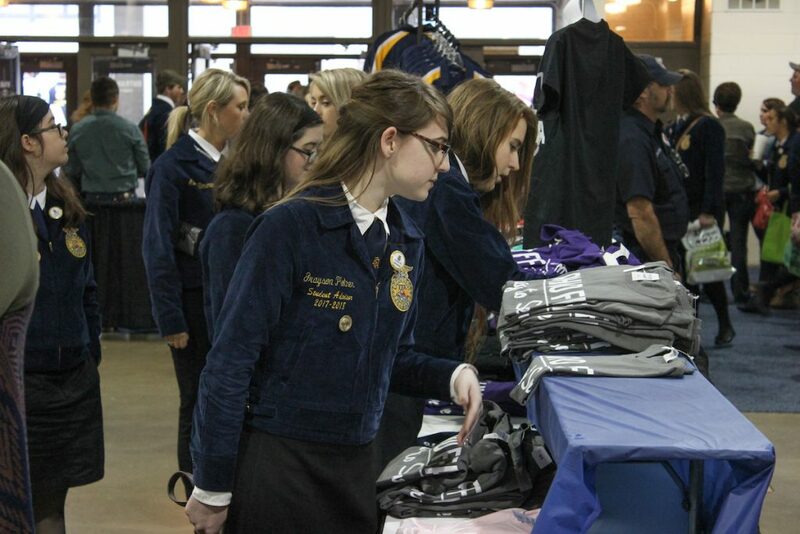 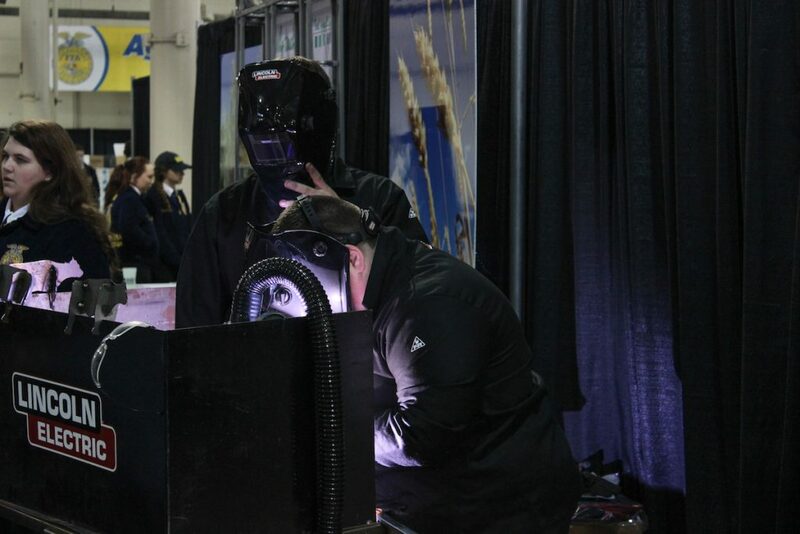 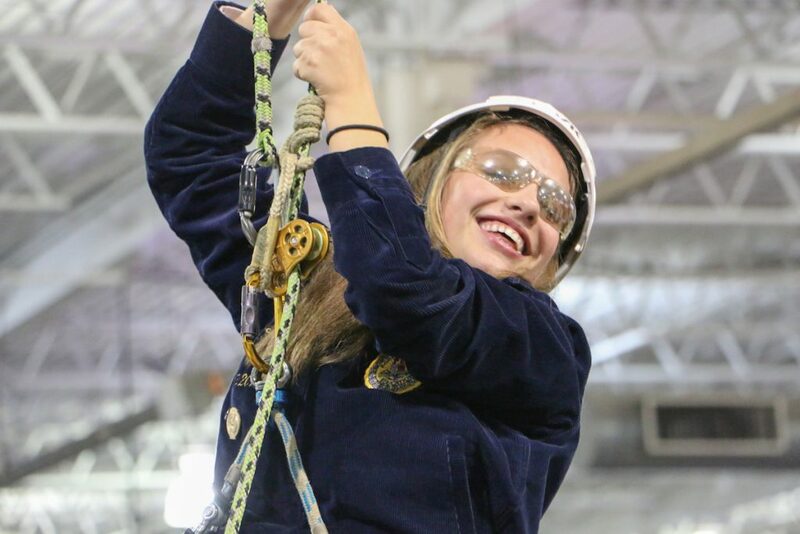 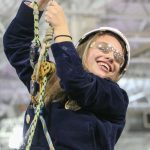 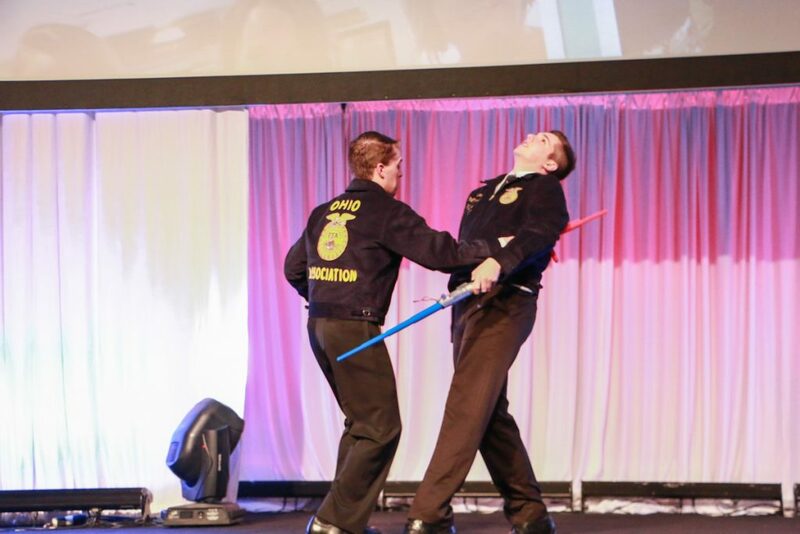 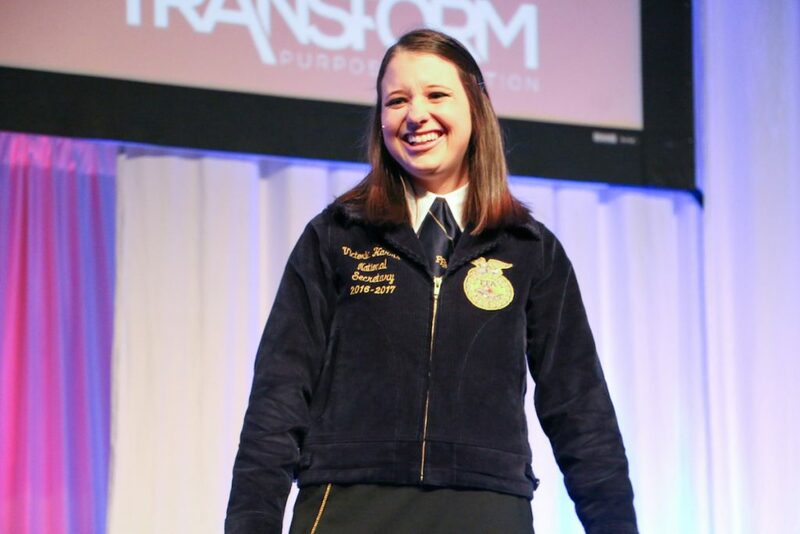 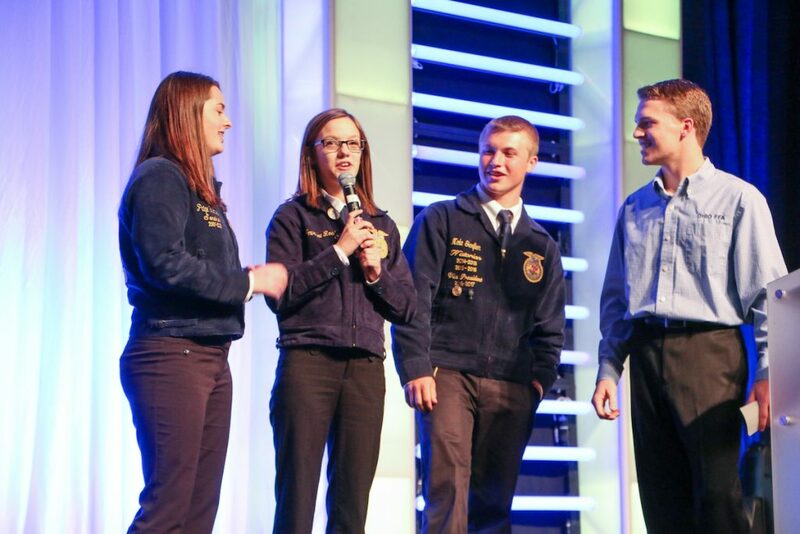 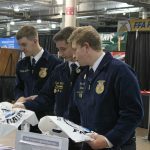 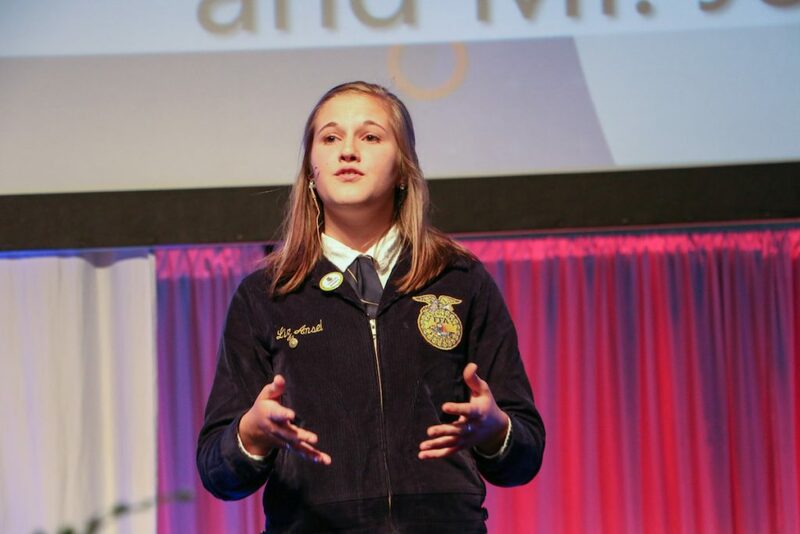 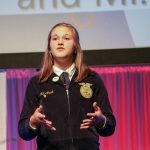 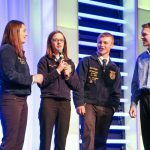 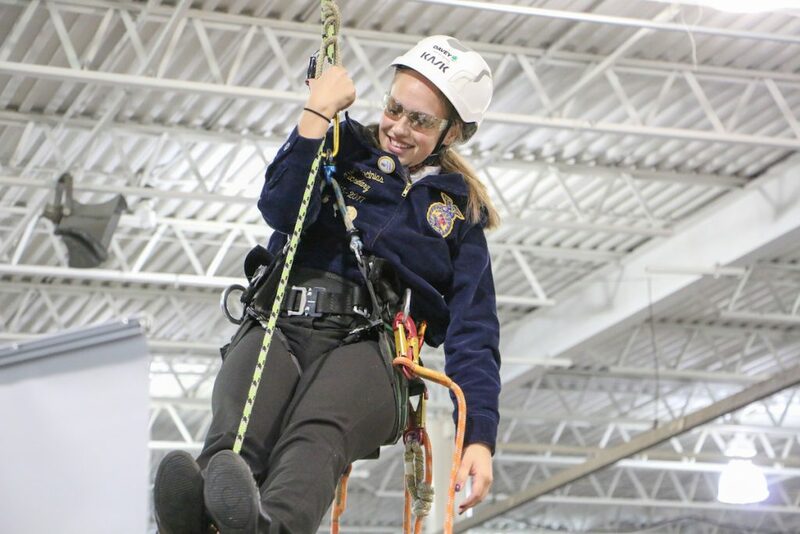 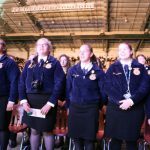 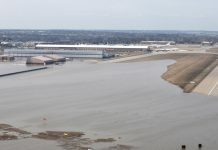 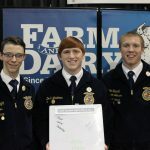 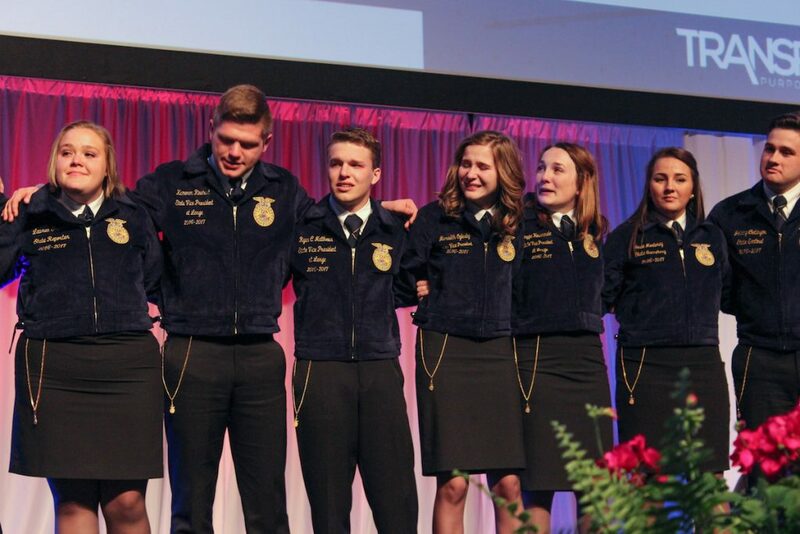 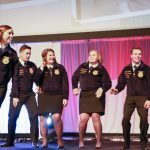 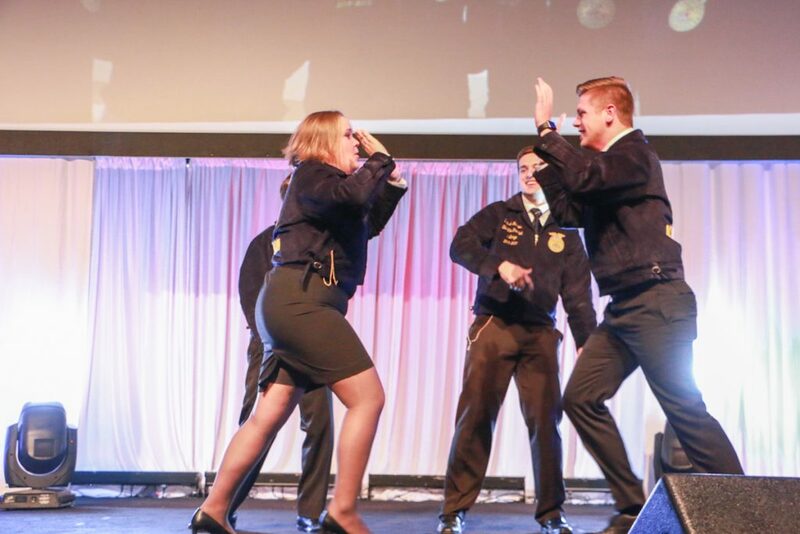 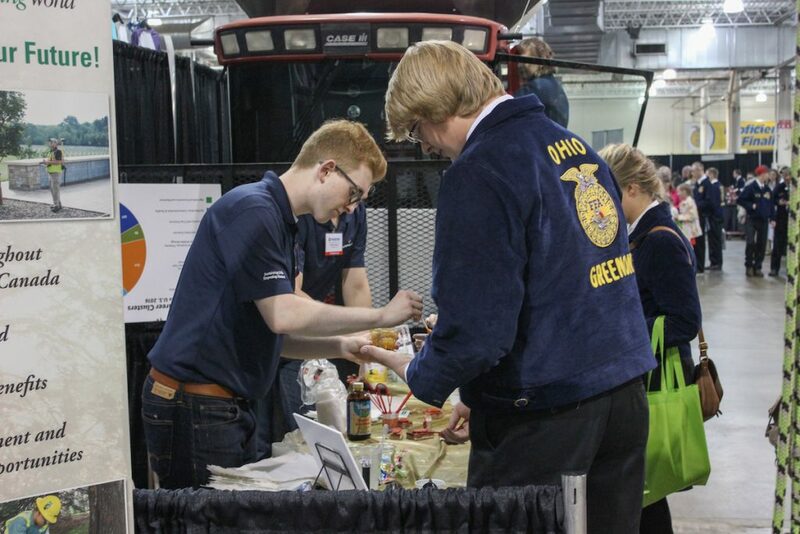 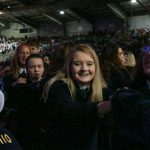 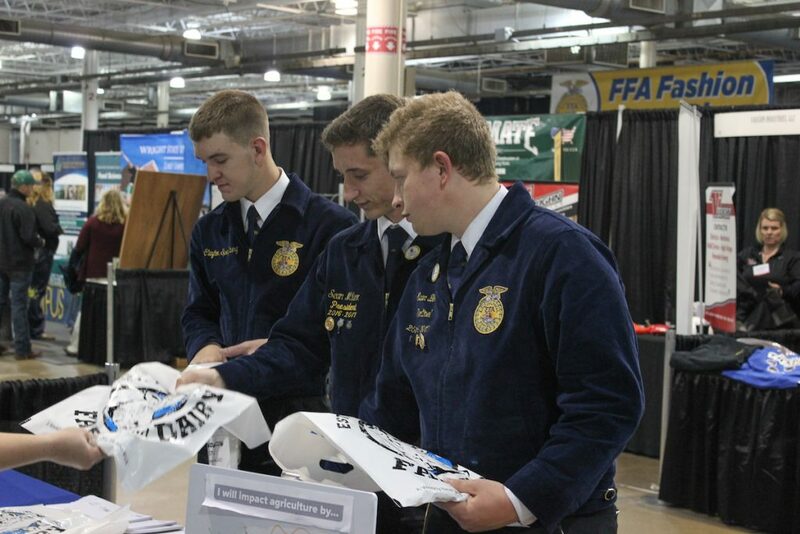 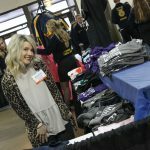 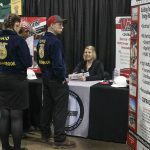 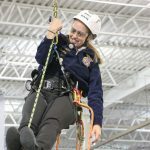 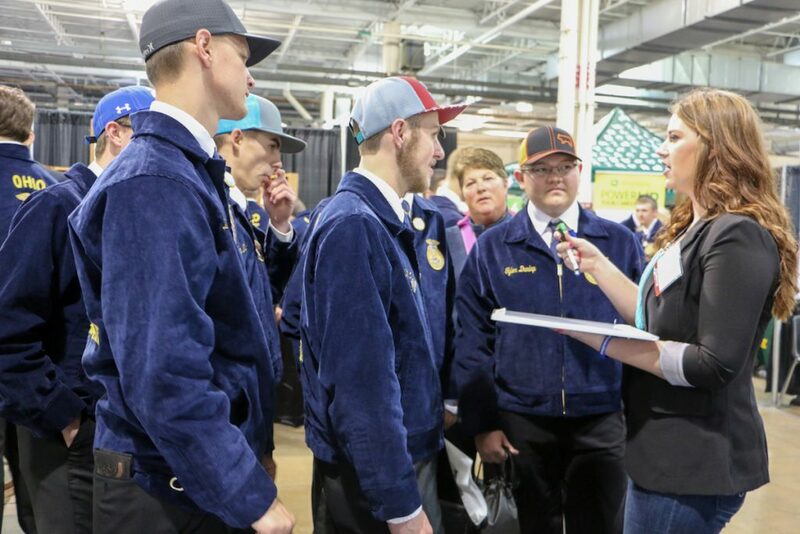 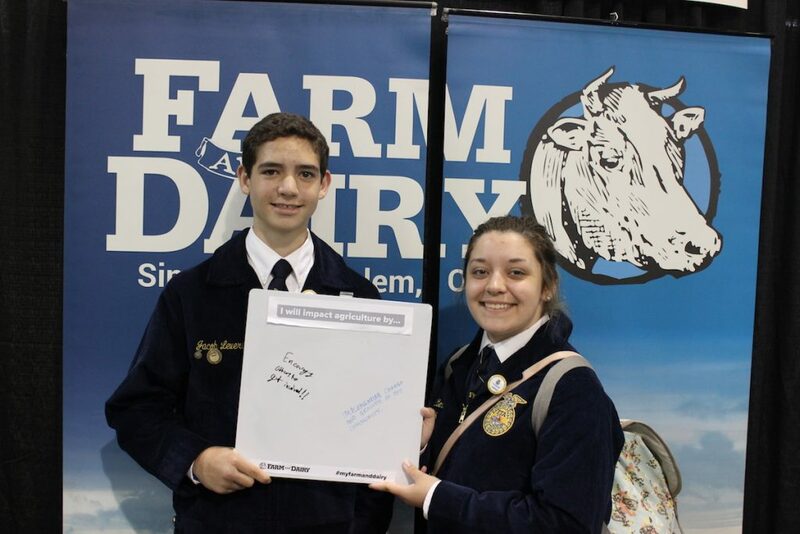 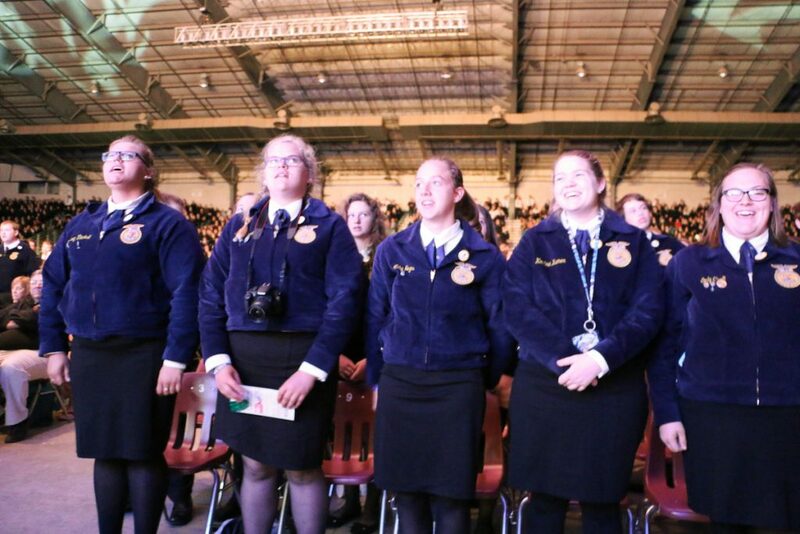 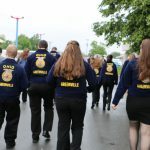 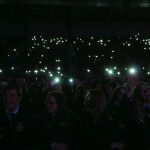 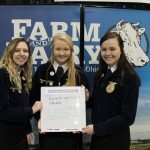 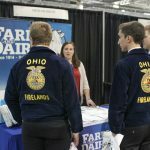 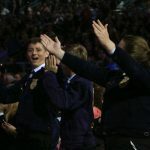 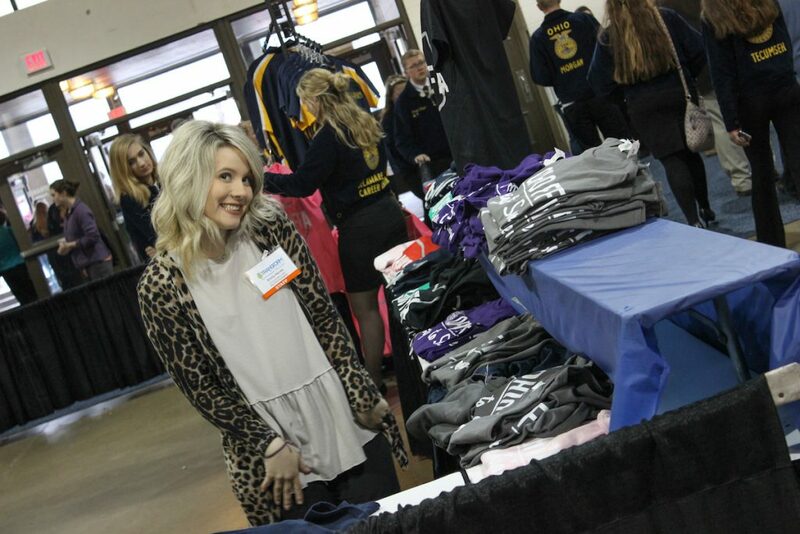 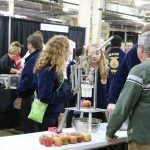 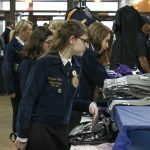 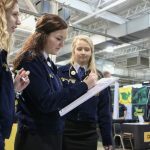 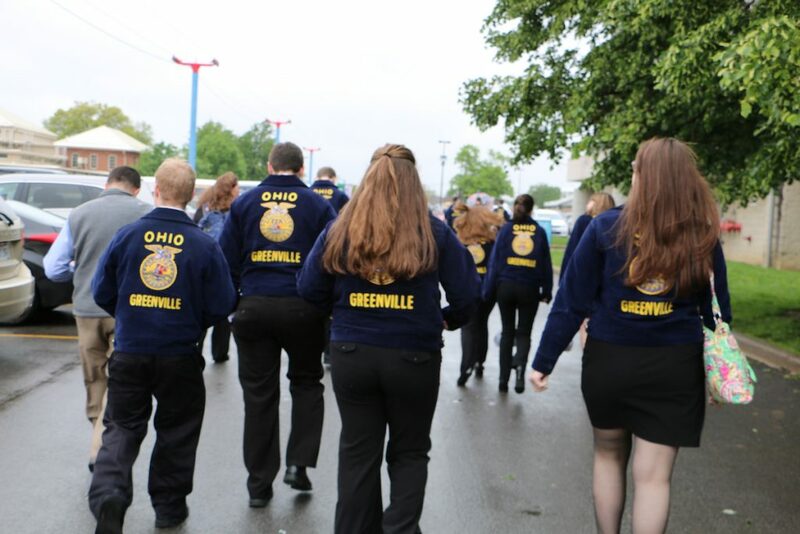 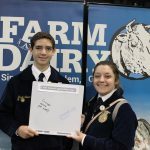 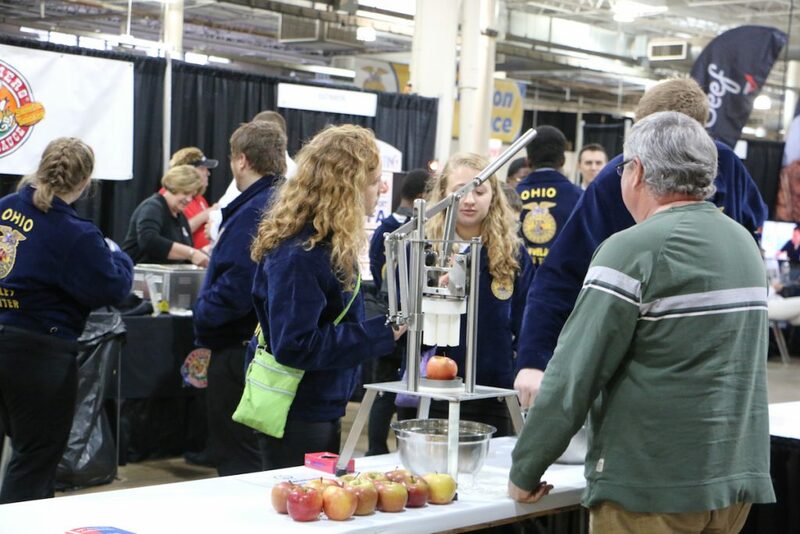 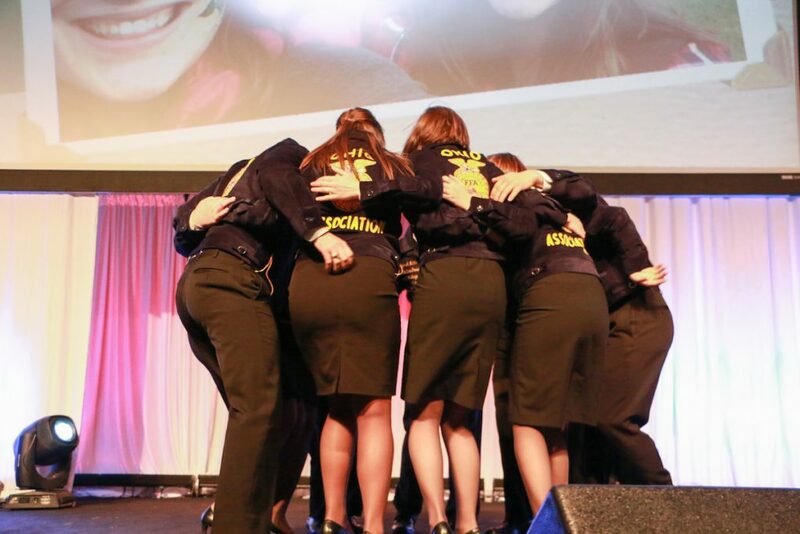 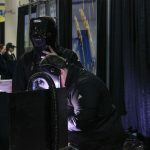 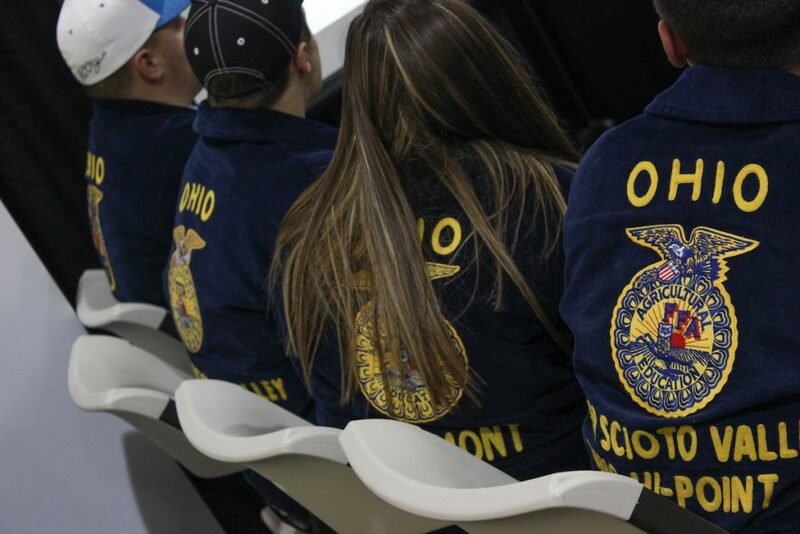 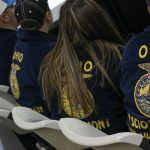 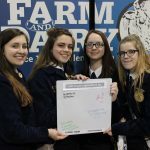 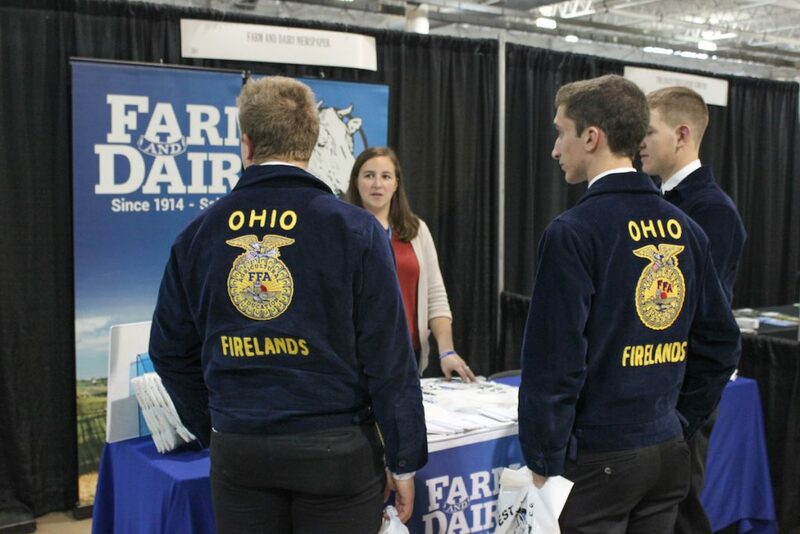 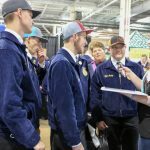 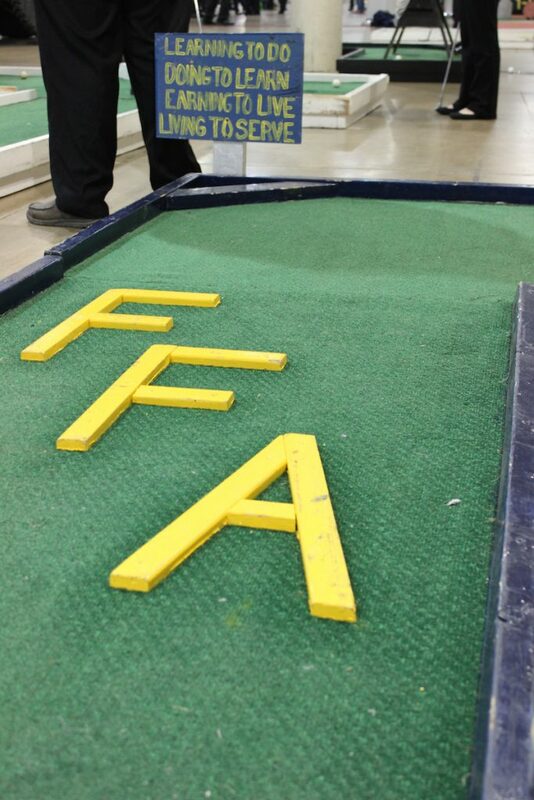 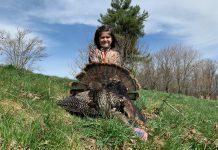 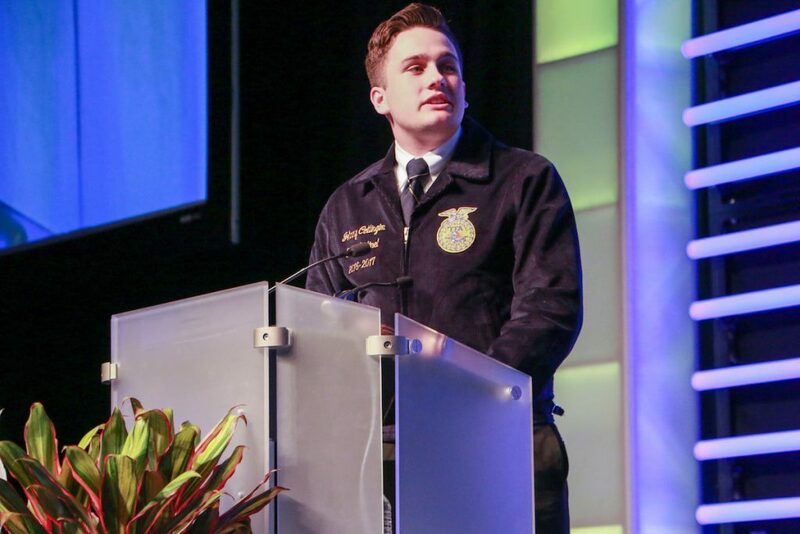 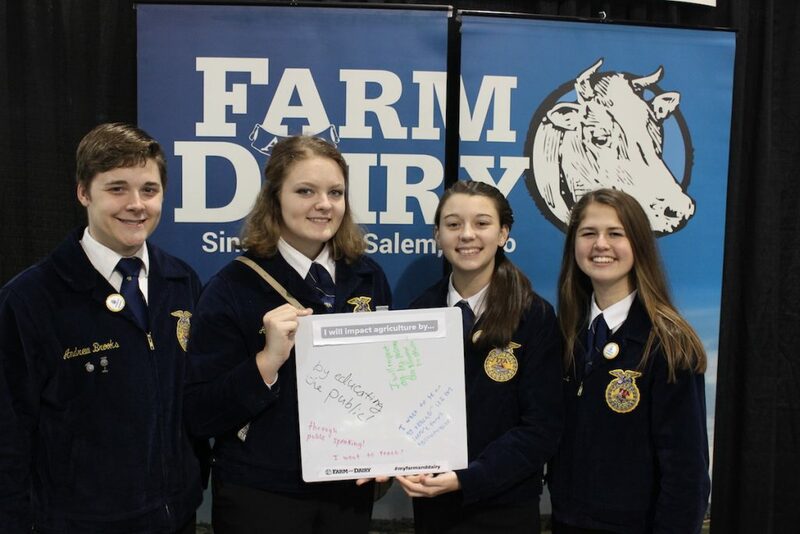 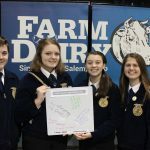 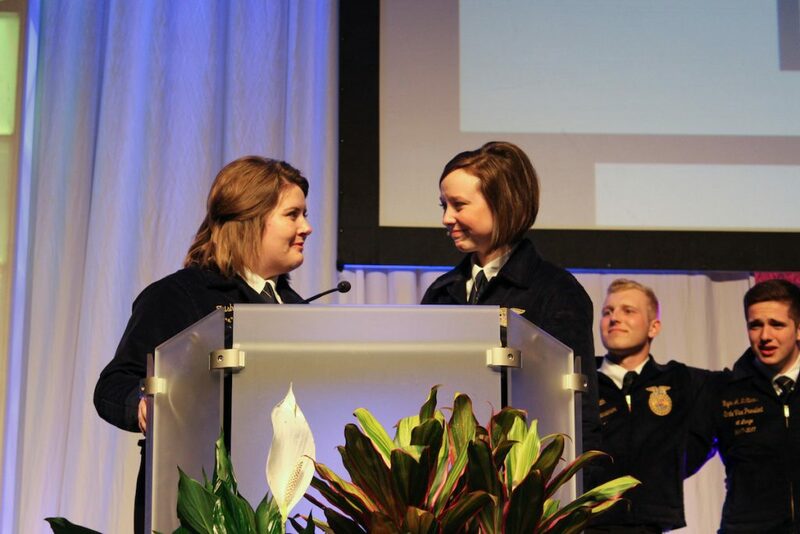 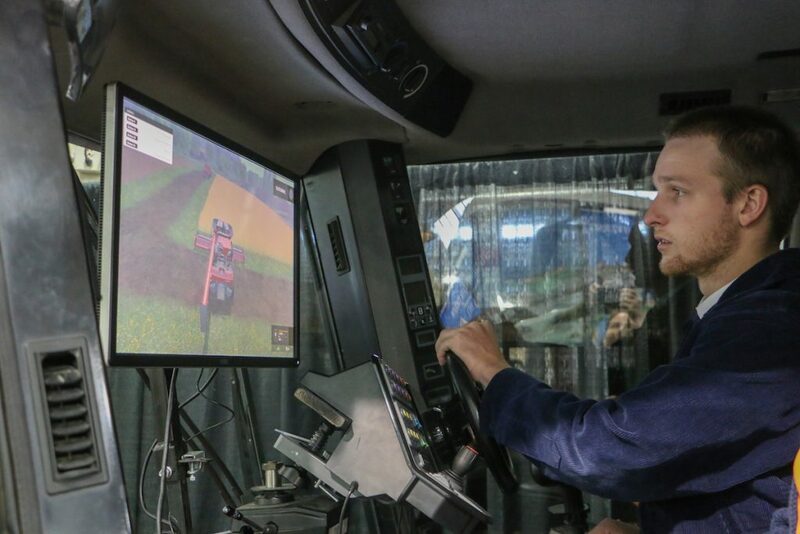 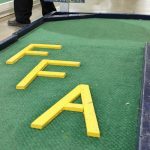 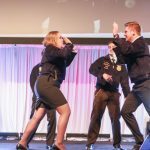 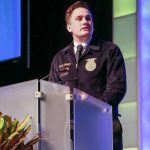 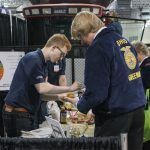 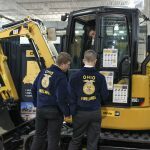 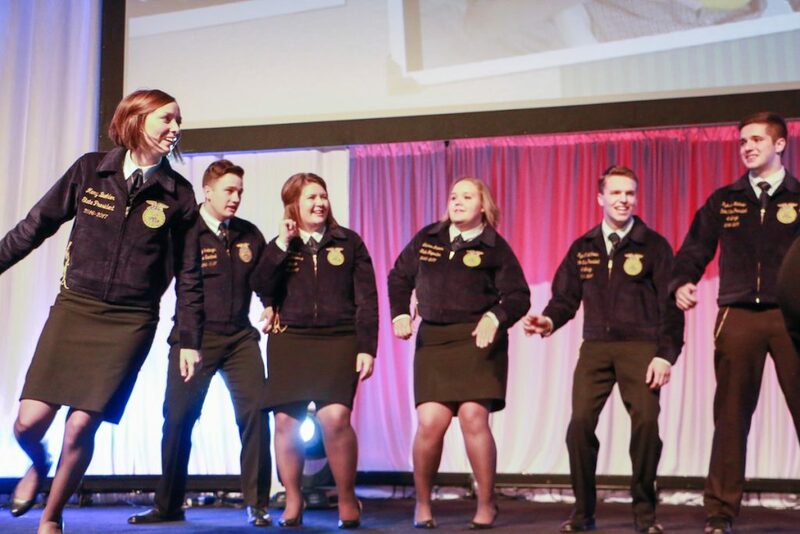 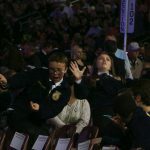 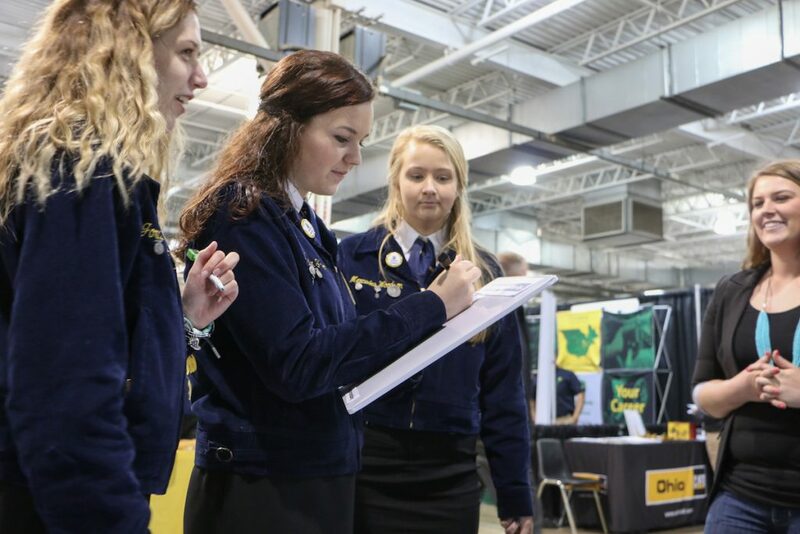 COLUMBUS — The 89th Ohio FFA Convention wrapped up May 5, in Columbus, and we’ve got the highlights. 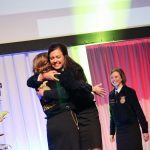 From keynote speakers, to award winners and candid moments, Reporter Catie Noyes is on the scene documenting the action. 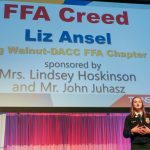 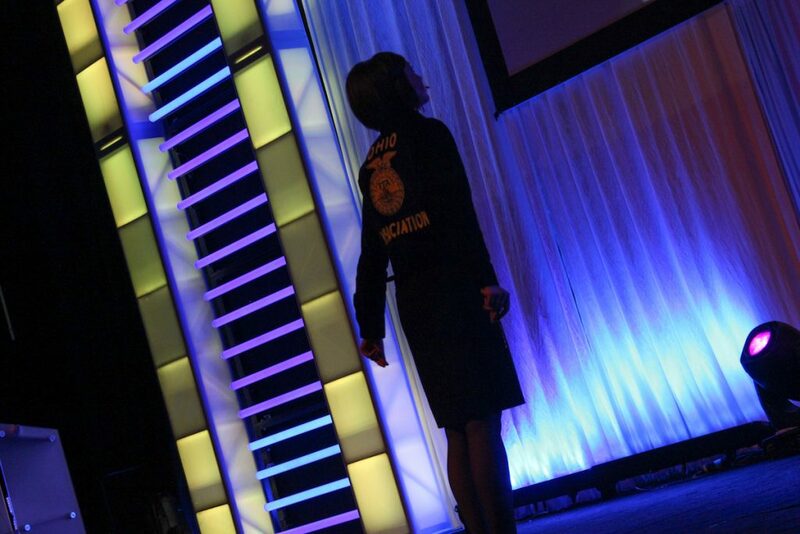 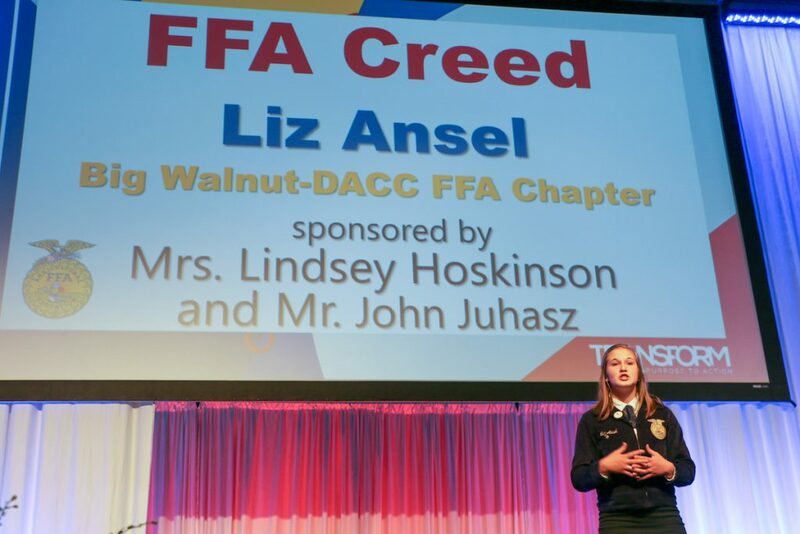 Liz Ansel, Big Walnut-DACC FFA, recites the FFA creed during the fourth session of the Ohio FFA convention May 5. 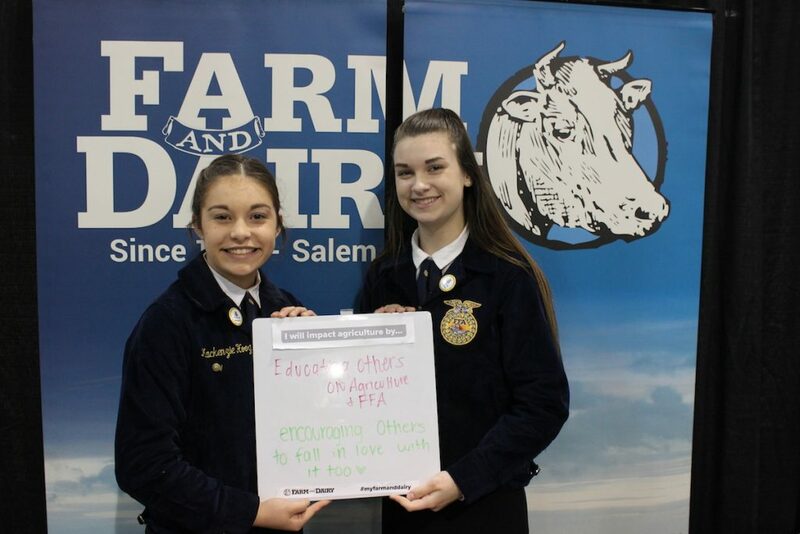 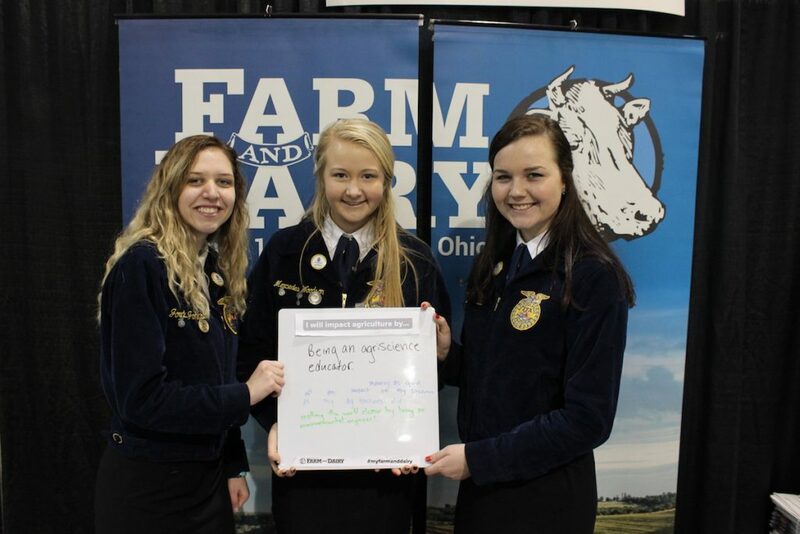 Katie Bensman, Beth Weigandt, and Kaitlynn Morrison, Fairlawn FFA. 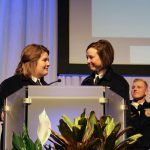 Kelsey Wight and Mackenzie Hoog, Valley View MVCTC. 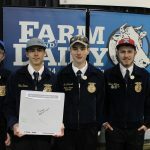 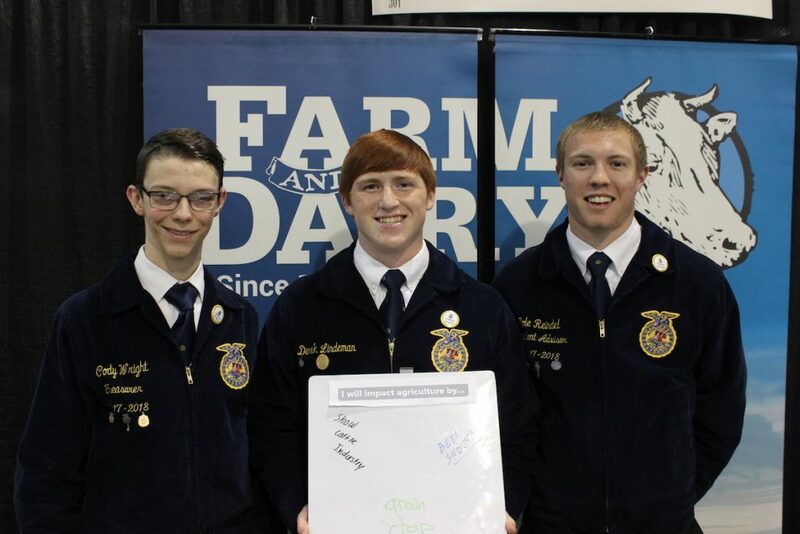 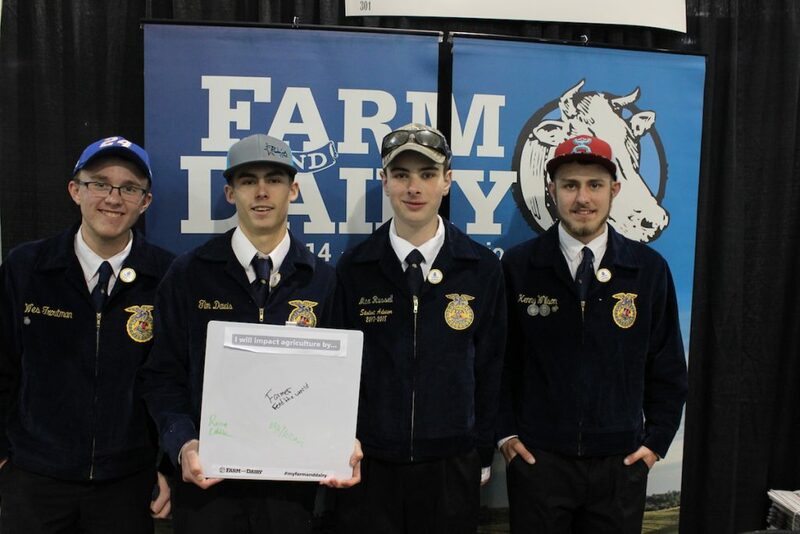 Wes Troutman, Brandon Davidson, Max Russell and Kenny Wilson, River Valley FFA. 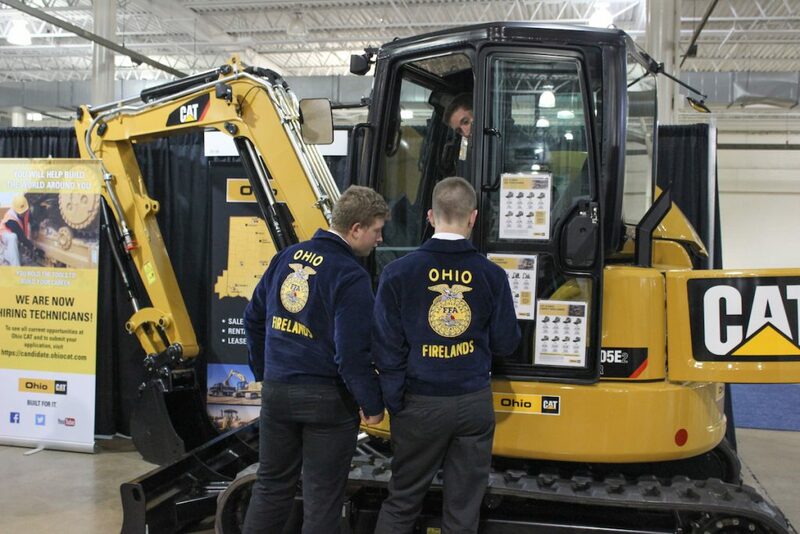 Cole Reindel, Derek Lindeman and Cody Wright, Dephos FFA. 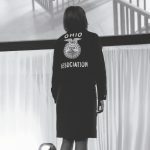 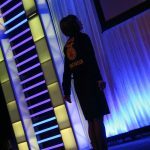 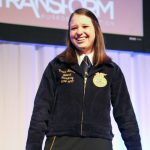 National FFA Secretary Victoria Harris gives the keynote address during the fourth session of the Ohio FFA convention May 5. 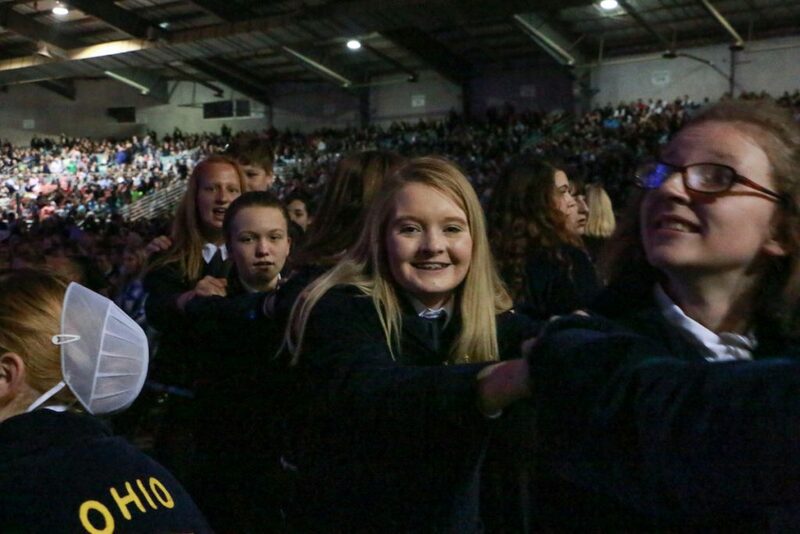 Kylie Walters and Jacob Levering, Greenon FFA. 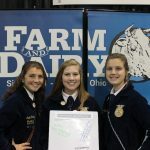 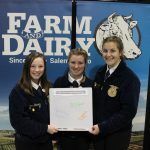 Julia Valley, Ally Whittaker and Rachel McCracken, Greenon Chapter. 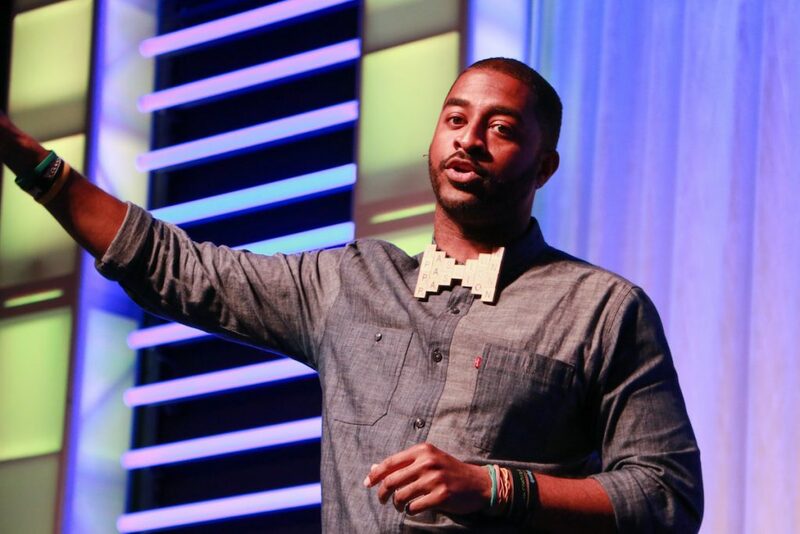 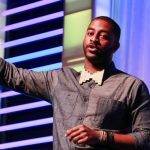 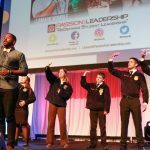 Lamarr Womble speaks to FFA members about finding their passion during the third session of the Ohio FFA convention May 5. 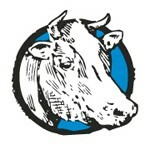 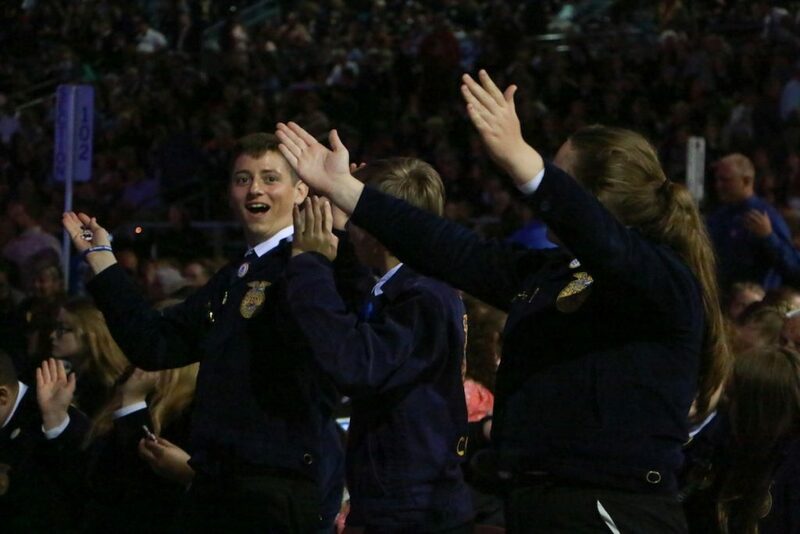 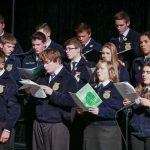 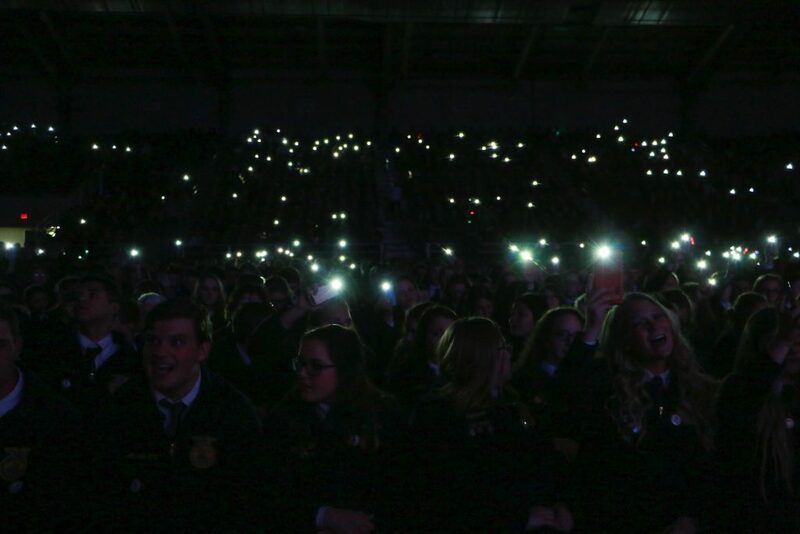 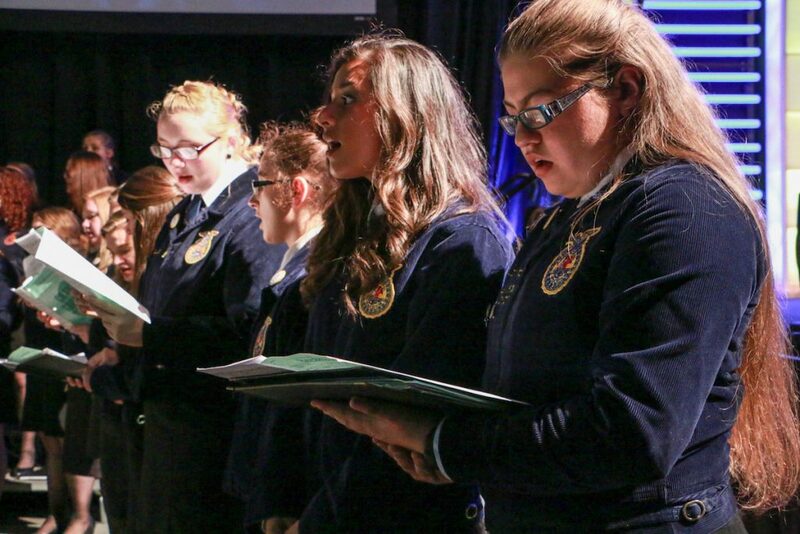 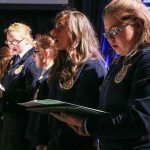 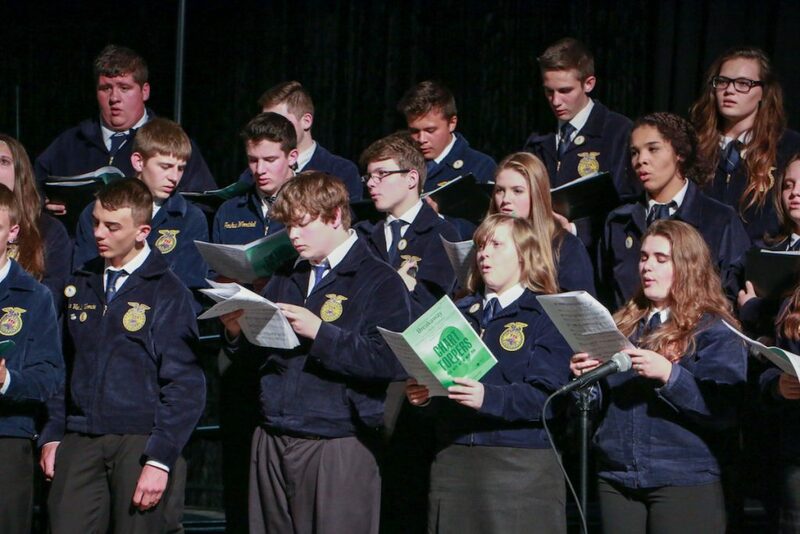 The Ohio FFA choir performs May 5, at the Ohio FFA Convention. 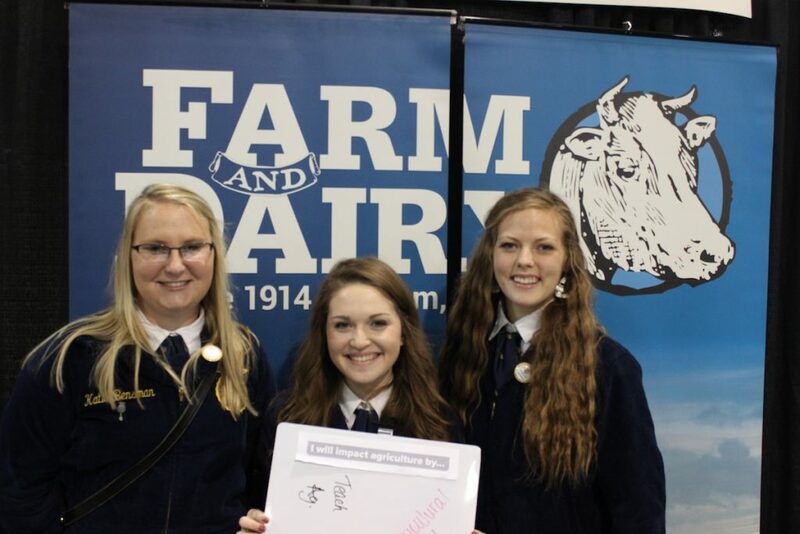 Jordan Johnson, Taylor Thomas and Mercedes Woodson, Valley View MVCTC. 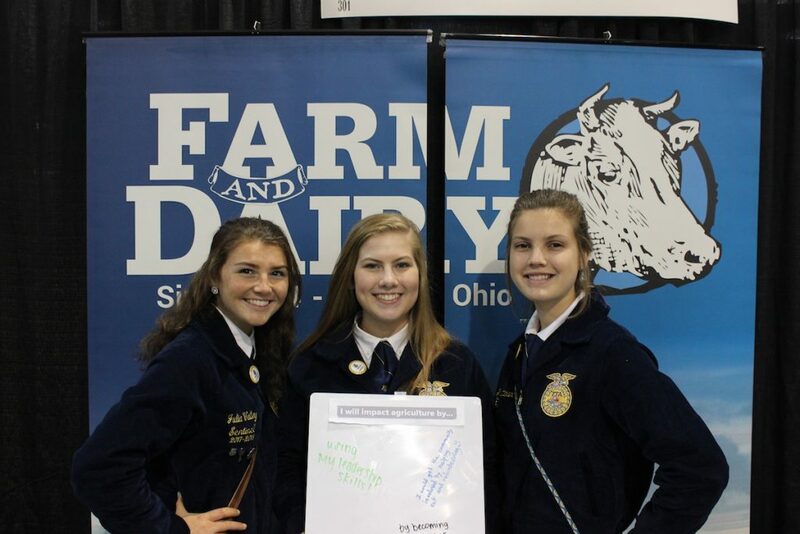 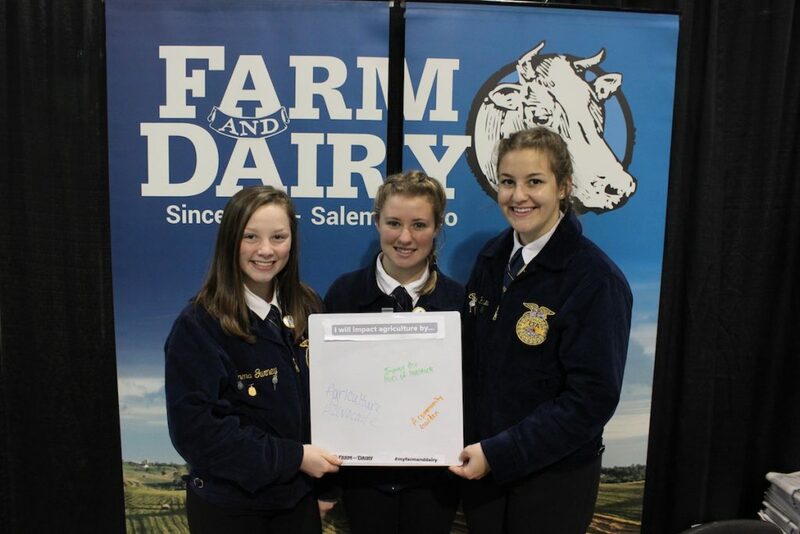 Emma Gurney, Courtney Heiser and Skylar Rotruck, Seneca East FFA. 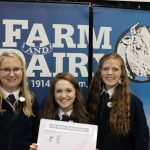 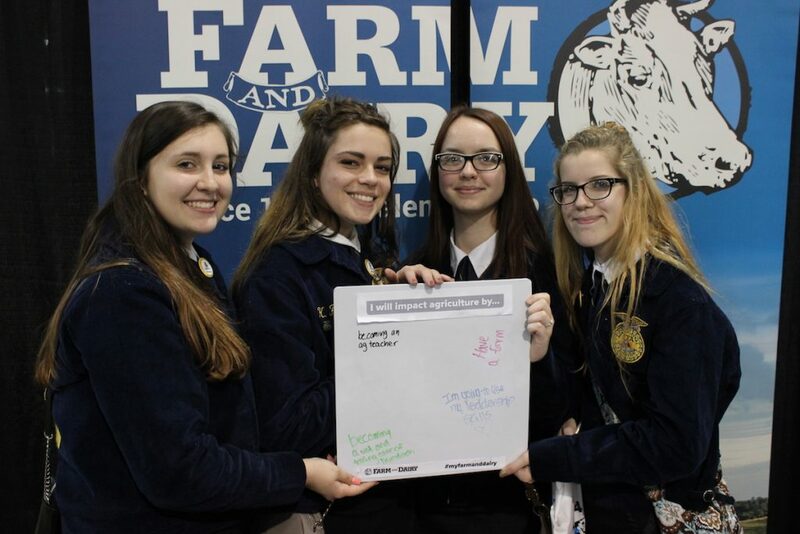 Arianna Holler, Kyanna Beistline, Shyanna Jones and Savannah Downing, Grennon FFA. 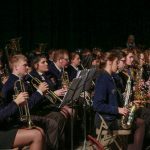 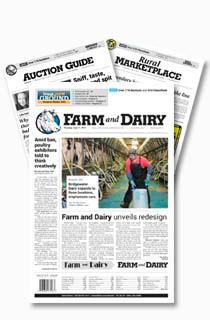 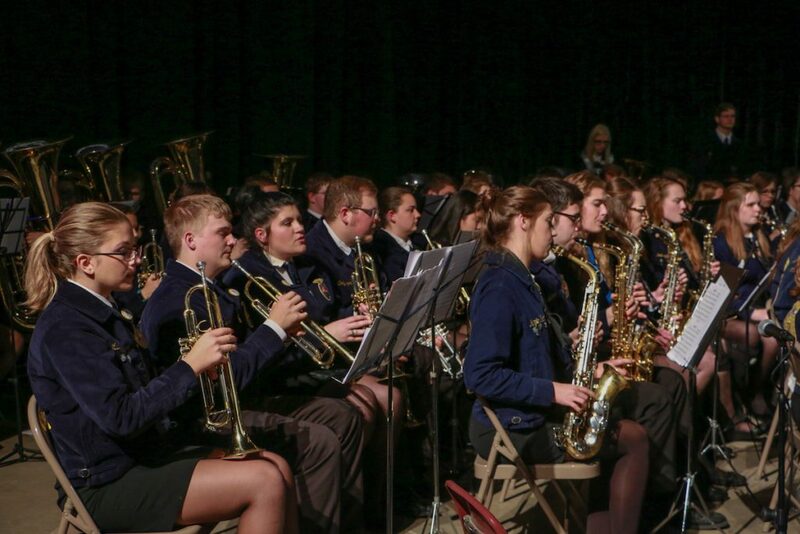 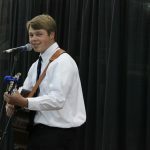 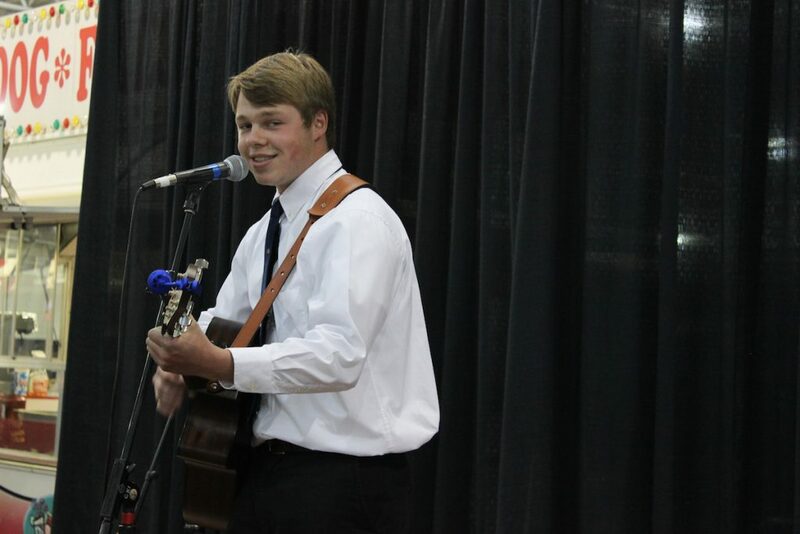 The Ohio FFA band performs May 5, at the Ohio FFA Convention. 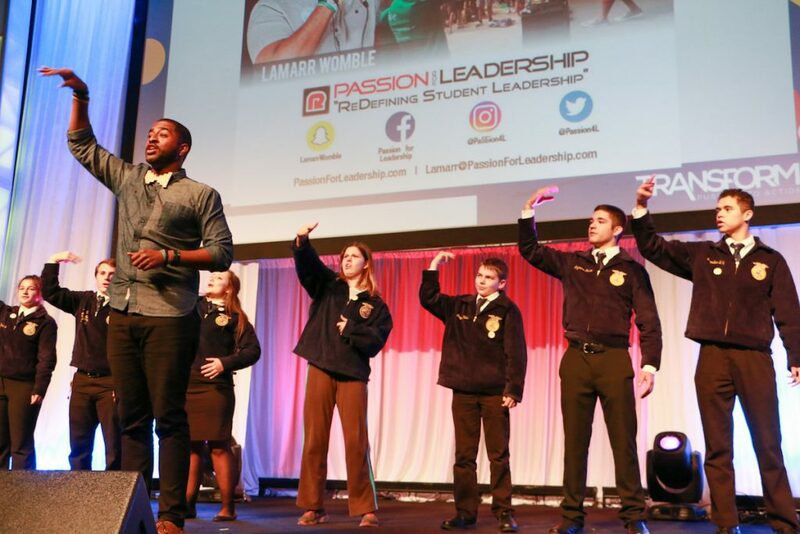 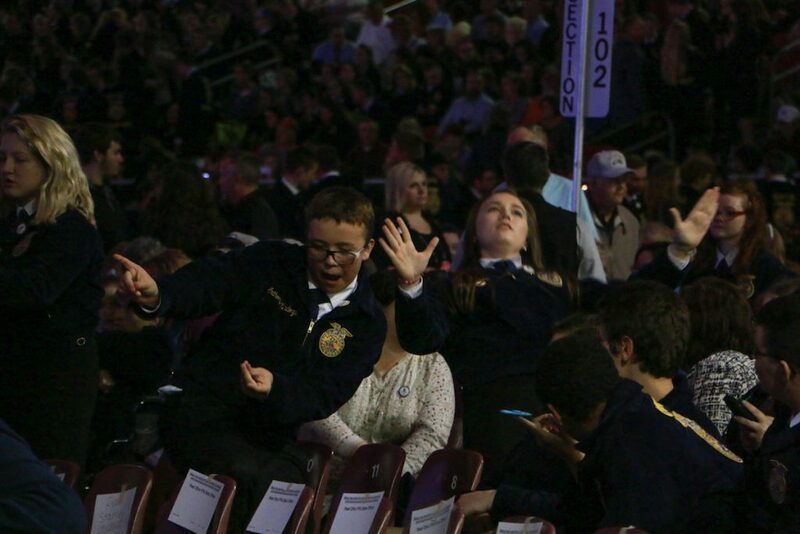 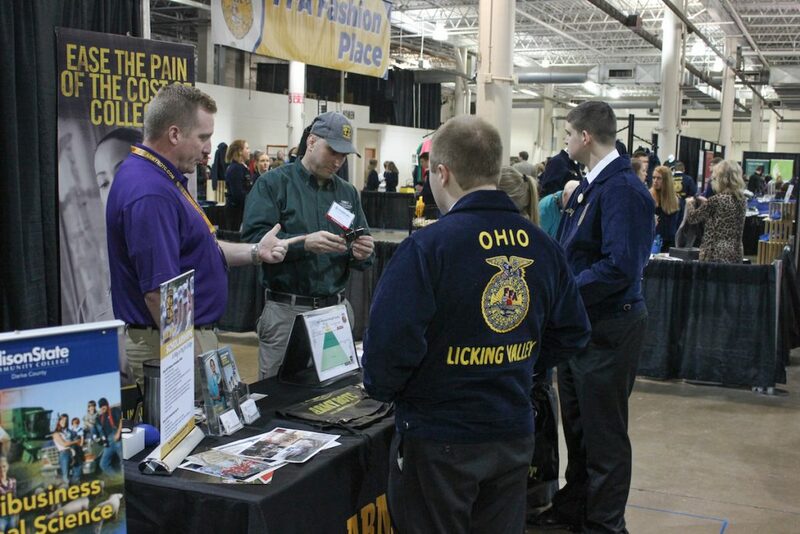 Lamarr Womble breaks it down with FFA members May 5, at Ohio FFA convention. 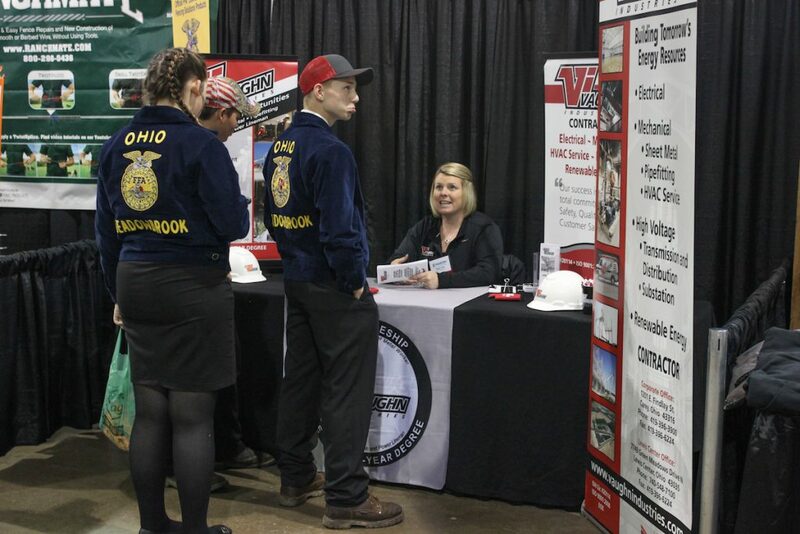 Andrew Brooks, Alisha Radek, Arica Hamilton and Katelyn Niehaus, Eaton-MVCTC. 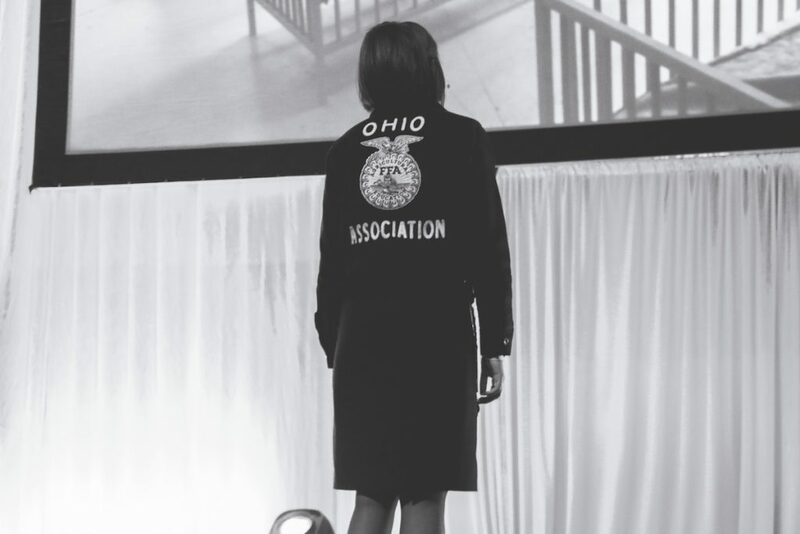 2016-2017 Ohio FFA President Mary Buehler. 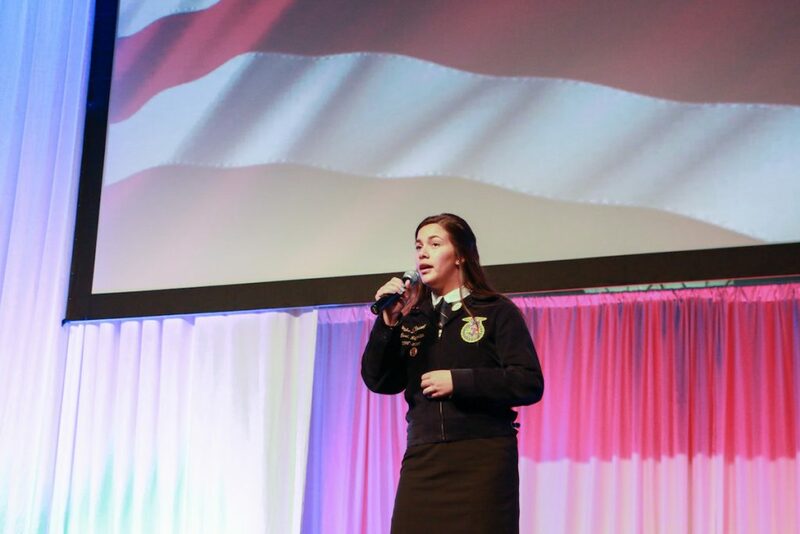 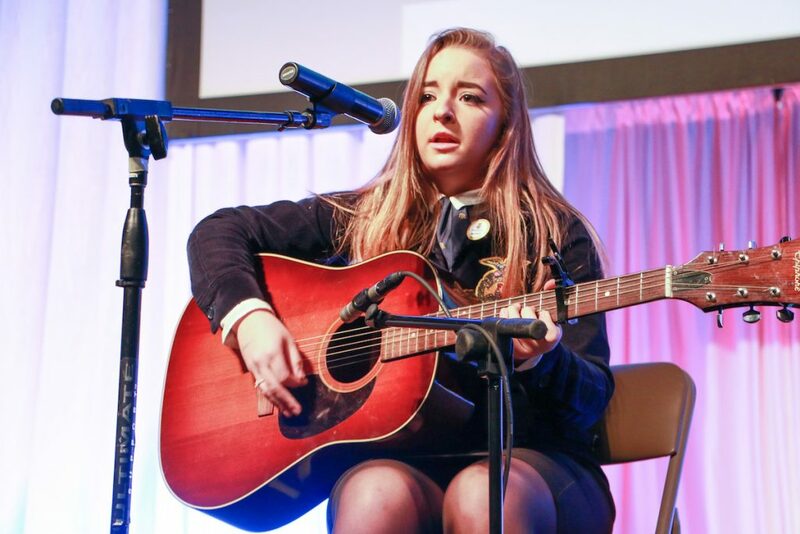 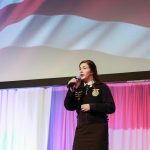 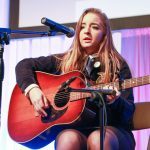 Danielle Hannah, Liberty Union FFA, performs during the third session of the Ohio FFA convention May 5.